Home > Textbooks > Their Eyes Were Watching God. New York, NY HarperCollins: Perennial Classics, 1998. 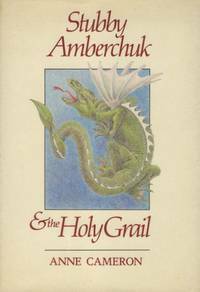 Paperback First Perennial Classics Edition (1998); Eighth Printing thus. Very Near Fine in Wraps: shows only the front endpaper and title page with a crease right at the lower corner tip and the text pages have tanned slightly, due to aging; else flawless; the binding is square and secure; the text is clean. Free of any creases to the covers. Free of creases to the backstrip. Free of any creased or dog-eared pages in the text. Free of any underlining, hi-lighting or marginalia or marks in the text. Free of ownership names, dates, addresses, notations, inscriptions, stamps, or labels. A handsome very nearly-new copy, structurally sound and tightly bound, showing a couple of minor, unobtrusive flaws. Bright and clean. Corners sharp. Appears unread. Virtually 'As New'. NOT a Remainder, Book-Club, or Ex-Library. 8vo. (8 x 5.35 x 0.55 inches). xvii, 219 pages. Foreward by Mary Helen Washington. Afterward by Henry Louis Gates, Jr. Bibliography. Chronology. Language: English. Weight: 6.5 ounces. 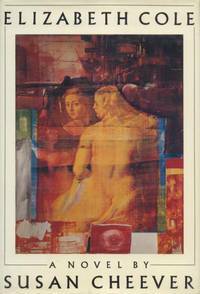 First Perennial Classics Edition (1998); Eighth Printing thus. Trade Paperback. At the height of the Harlem Renaissance during the 1930s, Zora Neale Hurston was the preeminent black woman writer in the United States. She was a sometime-collaborator with Langston Hughes and a fierce rival of Richard Wright. Her stories appeared in major magazines, she consulted on Hollywood screenplays, and she penned four novels, an autobiography, countless essays, and two books on black mythology. Yet by the late 1950s, Hurston was living in obscurity, working as a maid in a Florida hotel. She died in 1960 in a Welfare home, was buried in an unmarked grave, and quickly faded from literary consciousness until 1975 when Alice Walker almost single-handedly revived interest in her work. Of Hurston's fiction, Their Eyes Were Watching God is arguably the best-known and perhaps the most controversial. 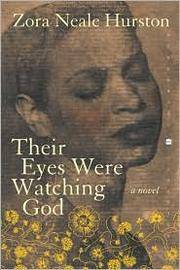 Their Eyes Were Watching God is a 1937 novel and the best-known work by African American writer Zora Neale Hurston. Set in central and southern Florida in the early 20th century, the novel garnered attention and controversy at the time of its publication, and has come to be regarded as a seminal work in both African American literature and women's literature. Time included the novel in its TIME 100 Best English-language Novels from 1923 to 2005. Title: Their Eyes Were Watching God. 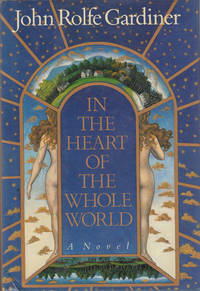 Edition: First Perennial Classics Edition (1998); Eighth Printing thus. "Janie Crawford, heroine of THEIR EYES WERE WATCHING GOD (1937), had a white grandfather and a black grandmother. The latter was a slave in 1864 when Janie's mother was born; the former was the owner of her plantation. Atlanta fell to Sherman. Ole Massa rode off to drive the Yankees back into Tennessee. Ole Missus came to cuss out Granny for birthing her blond haired baby. There will be a flogging tomorrow. Instead, Granny and baby hide out for weeks in the swamps. Then the Civil War ends and both are free. Around 1882 that baby born in slavery is old enough to be seduced by a (white?) teacher and gives birth to Janie Crawford. Somewhere around 1902 Granny (who has raised Janie) arranges her granddaughter's marriage to a north Florida black man with 60 acres. *** The rest of the story sees Janie running away from this husband. Later she runs away from a second and finds happiness in the arms of husband number three, Vergible Woods, known to one and all as Tea Cake, 11 years her junior. Janie joins him in Jacksonville. Soon enough they decamp for the Everglades to pick beans and are caught up in a great hurricane, during which Tea Cake, while saving Janie's life, is bitten by a rabid dog. By this time Tea Cake has also taught Jamie to use both rifle and pistol as an expert. Tea Cake is a life-loving gambler who adores Janie and makes her very happy. *** The novel is very vague as to time. I don't recall a single date being mentioned. Part of the fun of reading is therefore to construct a timeline. Autos abound by noveI's end and Jamie is around 40. So we are talking in the end of the early 1920s in Florida. * * * * The narrator writes crisp, elegant standard English. The other characters, all Southerners, mainly Negroes, speak a thick dialect of English that is most expressive. Sample: "You was twice noble tuh save me from dat dawg, Tea Cake, Ah don't speck you seen his eyes lak Ah did. He didn't aim tuh jus' bite me, Tea Cake. He aimed to kill me stone dead. Ah'm never to fehgit dem eyes. He wuzn't nothin' all over but pure hate" (Ch. 18). *** The novel is astonishingly good and convincing. A beautiful young, barely black woman finds ways to define herself in a world that wants to define her as a member of an inferior, segregated race, with no identity other than through her husband. Janie is no genius, but she is a canny learner and by tale's end is mistress of her fate. *** In 2005 THEIR EYES WERE WATCHING GOD was made into a film for TV, starring Halle Berry as Janie. Oprah Winfrey was producer. 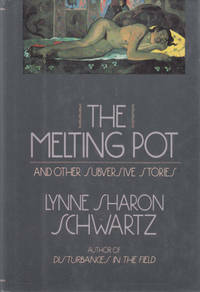 *** -OOO-"
The Melting Pot and Other Subversive Stories. In The Heart Of The Whole World. Stubby Amberchuk and the Holy Grail.